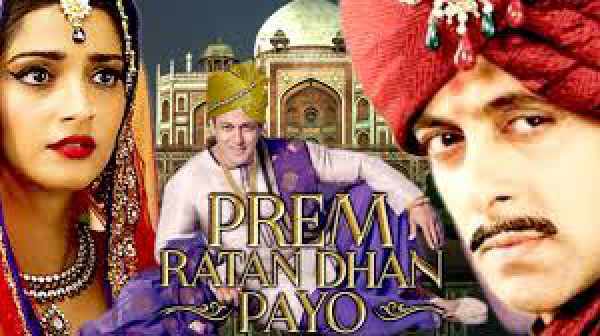 Prem Ratan Dhan Payo 12th Day Collection 12 Days PRDP 2nd Monday Box Office Business and Occupancy Report: The latest Salman Khan’s movie has been rolling high on the floor, i.e., faring at a very good rate. However, it failed to beat the second-weekend domestic record of Bajrangi Bhaijaan, Salman’s earlier release this year. On its first day, PRDP got an earth-shattering response from the public and thus, bagged the title of the highest opener of this year. It fared steady well over the 1st weekend. But after, during the 1st weekdays, it suffered from a steep decline. Within the first seven days, it earned a total of Rs. 172.82 crores for the Hindi version while the Telugu and Tamil versions did average business. Trade experts predicted that PRDP would do well in the second week as well and will cross the mark of Rs 200 crore. But its collection was affected by the 24th James Bond movie “Spectre”, which released in Hindi, Tamil and Telugu in a large number of screens across the country. Southern releases “Kumari 21F” and “Cheekati Rajyam” partially took a toll on its business. When compared with its opening day collection, the Sooraj Barjatya-directed family drama witnessed around 80% dip in its business on its second Friday. PRDP had a good leap over the weekend. In its second weekend, PRDP is estimated to have collected approximately Rs 19 crore nett at the Indian box office, taking its 11-day domestic total to Rs 191.82 crore nett. Salman Khan’s previous outing “Bajrangi Bhaijaan” (BB) has beaten the record of “PK” and “Happy New Year” (HNY) and become all time highest grosser in the second weekend. His latest film PRDP was expected to smash this record, but it has fallen back with a huge margin. PRDP 2nd Monday box office report will be updated soon. Stay tuned to us to stay updated with the latest PRDP collections news and updates. Let’s see how it goes on the 13th day.